In a country that’s made up of over 7,000 islands, beach bums will find themselves in a tropical utopia while exploring the country known as Philippines. Since the number of beach destinations can be a bit overwhelming, we’ve narrowed some down for you. Without further ado, here are some of those beach destinations. The island paradise of Palawan is one of the most beautiful beaches in the Philippines and has been crowned as “The World’s Best Island” time and again. This is in large part for its northern area, where El Nido and Coron are located. El Nido is studded with beautiful islets around Bacuit Bay, reachable by boat, but it also has some of the most breathtaking beaches in the country – and Nacpan Beach is one of them. This beach is just an hour’s drive from Palawan, making it a destination that’s not too crowded due to it being isolated. It boasts a clean, gorgeous stretch of fine, white sand, calm waters and just the right number of establishments. Like Palawan, Boracay is a once-proud holder of the “World’s Best Island” title. The island has gone through massive waves of commercialization in recent years, but its natural beauty is undeniable, shining through amidst the congested development. White Beach, the longest and perhaps the most popular on the island, continues to draw in the crowds with its soft, powdery sand and its iconic sunsets. Puka Shell Beach, more commonly referred to as Puka Beach, is White Beach’s antithesis. It’s where people go to take a break from the hustle and bustle of Boracay’s main festivities. Significantly less developed, Puka Beach draws people in with its rustic charm and its natural tranquility. Unlike White Beach, Puka’s sand is notable coarser due to its blending with puka shells, after which it was nicknamed. Banul Beach is one of the common lunch time stops on the Coron island-hopping tour, and it’s a sight to behold. Its powdery white sand, the crystal-clear waters and the massive limestone backdrop will make you want to lounge and stay for more than just a meal here. Its modest size only adds to its charm. With a couple of cottages and wooden tables, it’s a great stop for groups who’d like to take their sweet time and just enjoy a picturesque setting. While Palawan is most likely known for both Coron and El Nido, the fishing village of San Vicente is also home to the beautiful, albeit underrated beaches. One of these is Long Beach. Stretching 14 kilometers long, this extensive strip has fortunately been left alone for the most part. 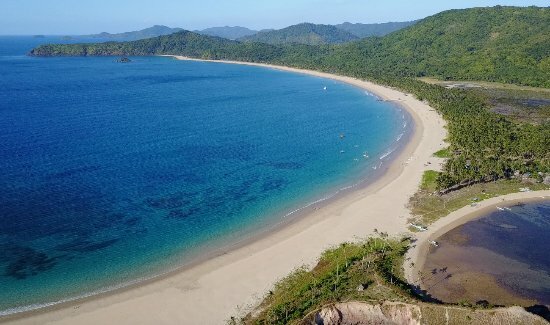 Away from the crowds and commercial development, this beach is a great choice for anyone who has grown tired of tourists in Palawan’s top destinations. So, there you have it. These are just some of the best beaches in the Philippines to consider visiting when you’re exploring this tropical country. Just remember to plan your trips properly before you go on them.